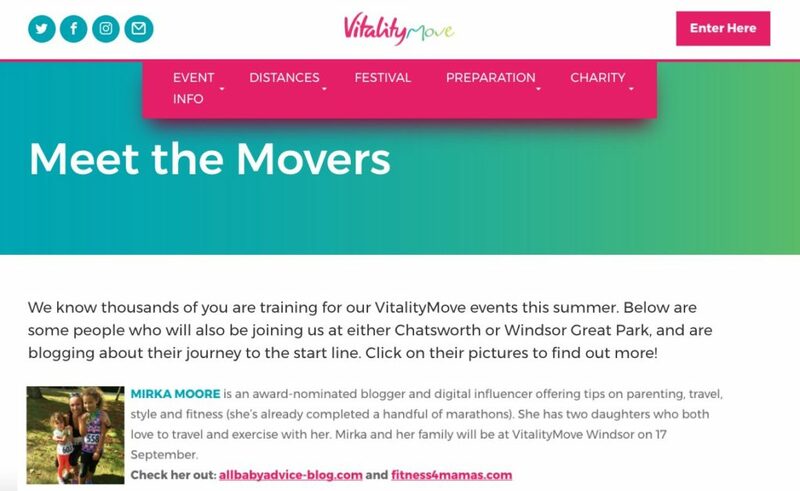 Being part of the #VitalityMove campaign with Jessica Ennis-Hill is great, and not only encourages me to get us as a family involved but also some of my friends. I have been running for over 10 years now, and honestly cannot imagine my life without it. 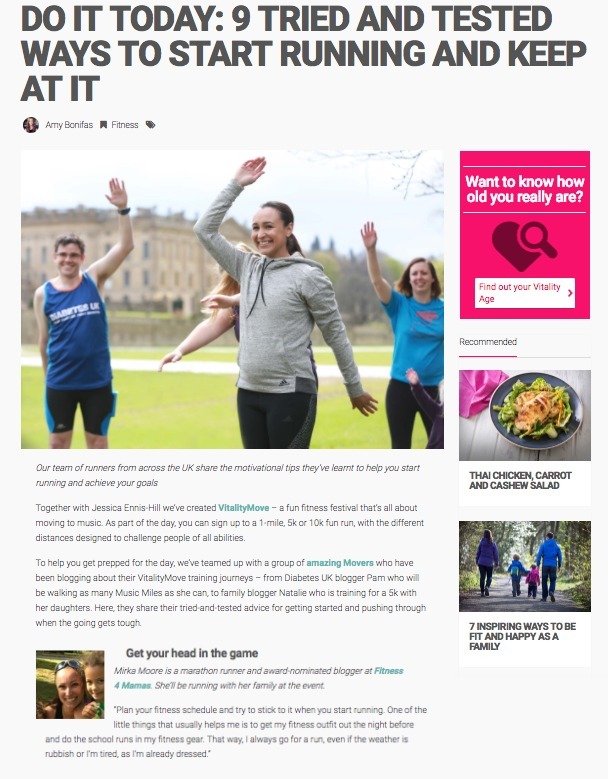 Last summer my husband started running too, and that made me so happy. Both our daughters know about my passion for keeping fit , especially running, and I am hoping that they will love running as much as me. Who knows, maybe my dream to run a marathon with them will come true one day too. 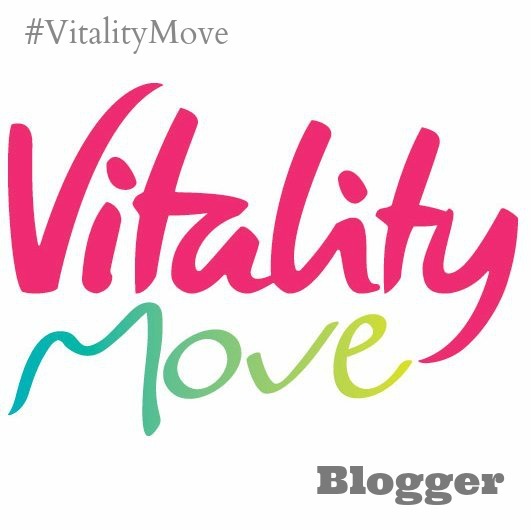 Anyway, today I would like to share the latest Vitality Move post featuring my and other Movers’ running tips to keep you going. Go and check these and don’t forget to book your place at one of the race! You can get 10% with “Mirka10” code at the check out!